For obvious safety reasons, most jurisdictions across the US and the world prohibit someone from driving a car if a “video monitor” is clearly visible from the driver’s seat. Hence why even though Tesla’s 17-in center display could certainly be capable of playing videos, the automaker disabled any video playing capabilities other than the video feed from the rear camera. 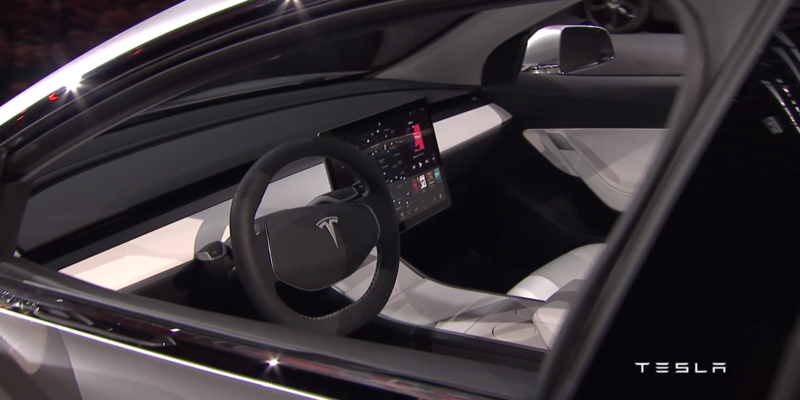 The lack of instrument cluster in the Model 3 prototypes unveiled at the event this week has divided Tesla enthusiasts. For some its a deal-breaker, but for others it created hope for more advanced autonomous features and HUD technology in the production vehicle.